Shkodra Regional Council in the framework of the project AdriGov, organized a workshop, Albanian counties within the Adriatic-Ionian Euroregion and EUSAIR EU policies. 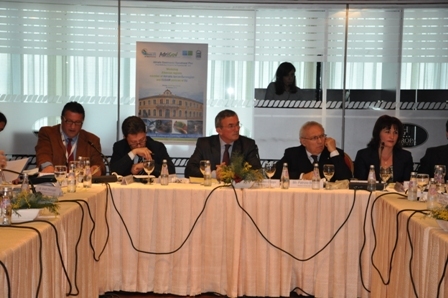 At Grand Hotel Europa the Shkodra Regional Council in the framework of the project AdriGov, organized a workshop, Albanian counties within the Adriatic-Ionian Euroregion and EUSAIR EU policies. 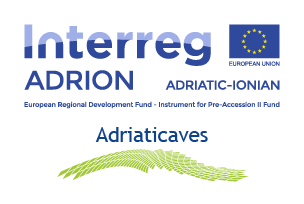 AdriGov project is being implemented by the Council of Shkodra, partner and beneficiary of several other counties and regions of the Adriatic-Ionian Euroregion, with the main aim of increasing cross-border cooperation, contribution to the drafting of common policies in the area, as EUSAIR programmatic strategy and transfer of knowledge and mutual growth capacity. 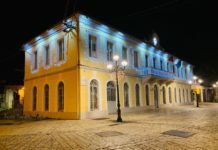 Shkodra district has been participating in activities with different themes, but as long as there have been modest, has requested to be included in the consultation process for the EU strategy EUSAIR. In this context, here in Shkodra along with the District of Shkodra, Tirana, Vlora, Durres, Fier and Lezha, were and our European partners. This workshop aims to: information and consultation between member Albanian County EAI EUSAIR considering policy and advanced experiences. EUSAIR, is an opportunity for the EU, built like a ship loaded with ideas that can sail in every corner of the Adriatic-Ionian Region Euros, to program through its joint development in 8 countries such as: Albania, Greece, Montenegro, Serbia, Croatia, Bosnia, Slovenia and Italy. Albanian circles in this recess should Adriatic-Ionian coast to cooperate, to enable as much, reducing the development gap but we have inherited and that requires a lot can to recover. Therefore, this meeting we organized in collaboration with the Region Emilia-Romagna and Molise, who as part of the strategy EUSAIR territorial and sustainable partners with the Regional Council of Shkodra have a major role in guiding the development of the Adriatic partners. The meeting was attended by important personalities brought to the attention of the audience to their important moments to these contemporary developments. The presence of the Ambassador of Italy, His Excellency Massimo Gaiani was very encouraging and supportive, as a neighboring country together with other member states are prepared to add other star European flag. 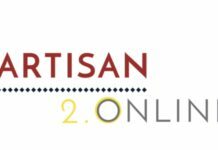 Mr. Patrizzio Bianchi, Assesor Policy Education, vocational training and employment to the region of the ER, a career personality with excellent academic and administrative spoke on local policies in an open economy. A well known character in European tables for counties, Mr.. Francesco Cocco, Secretary General of EAI, stopped in project contributions AdriGov in relation to the work of the thematic committees EUSAIR EAI and strategy. While Ms. Elena Tagliani, reference E / R AdriGov project, featured in her presentation on the regional perspective to EUSAIR Strategy. A very interesting topic was that of Mr. RDP leader Olaf Haub, agency funded by the Austrian and Swiss governments to assist regional development in the regions of Shkodra and Lezha. As regional manager focused on the potentialities offered Shkodra Region and beyond to be involved as much EUSAIR strategy. The meeting was also attended by representatives of several departments that cover the sectors of international cooperation: the Clerk of the Ministry of Foreign Affairs EUSAIR Policy. Mr.. Sunrise Pasholli, representative of the Ministry of Integration, Mr.. Freda Doci, and adviser of the Ministry of Local Affairs Mr. Enea Hoti. “You have to deal with the issue of infrastructure to cross the Adriatic is not easy to pass this part of the sea. 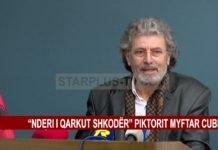 The smugglers do very well, they need only two hours to accomplish their goals, while citizens to cross the Adriatic, he must traverse a bumpy road “, said in his speech, the Italian Ambassador Massimo Gaiani. 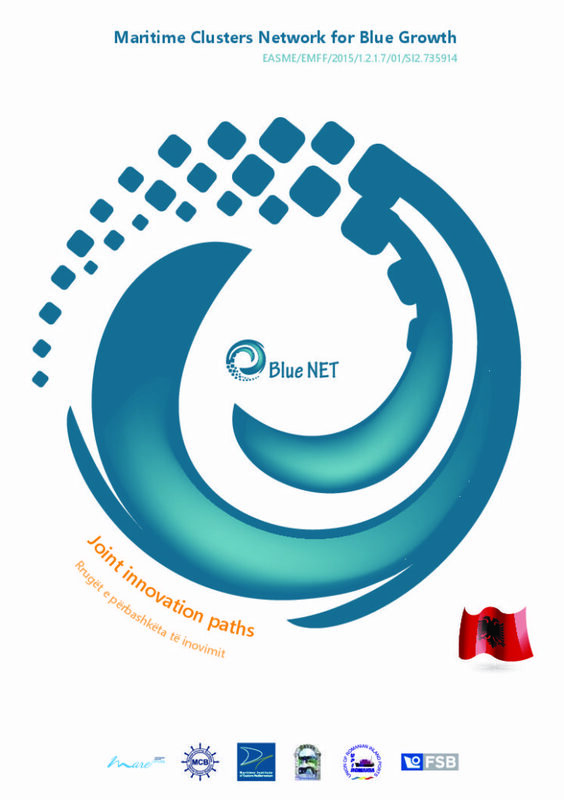 Mr. Cungu appreciated the fact that this project provides a significant contribution to the creation of a joint board cooperation in the Adriatic-Ionian area, to promote particular the adoption of a concurrent and operational plan in the middle of all Albanian regions in EAI to treat together all the possibilities for cooperation in all fields where we lay our territory EUSAIR. The meeting was moderated by Mr. Andrea Jakova AdriGov project coordinator, who’s working with the project team organized and carried out the progress of this very important meeting of the County Council of Shkodra.